Ebrington is a former military base dating back to 1841, named after Viscount Ebrington, Lord Lieutenant of Ireland at the time. But its military history extends right back to the Siege of Derry (1688 – 89) when Ebrington was used by the soldiers of James II to bombard the walled city. The 26 acre site features 19 buildings of historical and architectural note, 14 of which are listed. The centre piece of the Star Fort is the former Parade Ground which overlooks the River Foyle and is flanked on three sides by cream coloured buildings, most of which date from the 1840s. From 1940 Ebrington was occupied by the Navy, re-named HMS Ferret and was the main naval base for the Battle of the Atlantic in World War II. It was subsequently re-named HMS Sea Eagle in 1947 when it became an anti-submarine warfare training centre. The site reverted to military use and its original name in 1970. 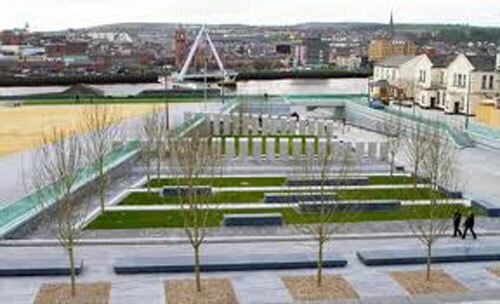 Three decades later Ebrington was gifted to the people of Northern Ireland as part of the peace process in December 2003. Urban regeneration company Ilex is currently tasked with the regeneration of the site on behalf of the Office of the First and Deputy First Minister. When complete, Ebrington will be a mixed use site integrating commercial, cultural, recreational, retail and residential development within the city with plans for a creative hub, a maritime museum and genealogy centre, offices and a bar/restaurant currently being progressed. 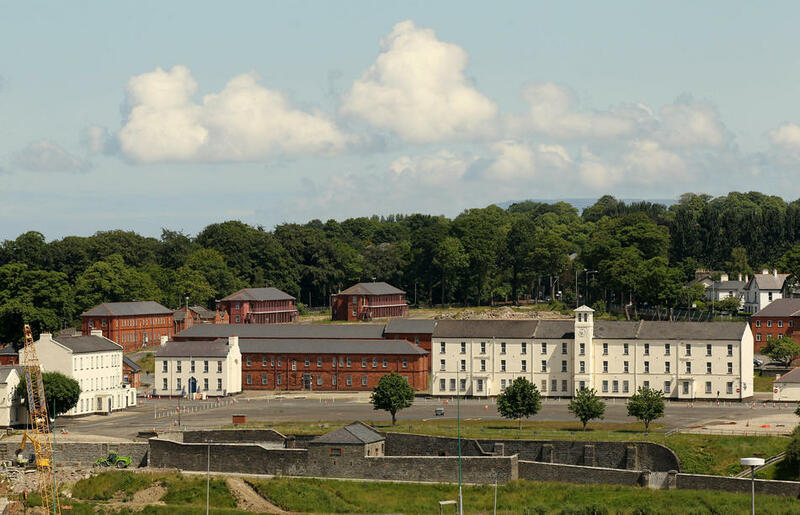 Join Alan Armstrong for a fascinating insight into the social and architectural past of the site of Ebrington and discover more about the building’s history from the siege of 1690 through the Crimean First and Second World wars. The Turner 2013 exhibition is housed in Buildings 80-81, a red brick Victorian former dormitory building reflecting the military architecture of the late Victorian/early Edwardian period. This building has been designed with the Turner Prize at the forefront of considerations, and modifications incorporated for the Turner Prize will also benefit the building in its ultimate guise as a Creative Hub for the city. The space incorporates a foyer/welcome area, four gallery spaces of approximately 100m2 each, a café space, artists’ film area, lifts, toilets and storage spaces. Initial design of the gallery space was carried out by CPD in close consultation with Ilex Urban Regeneration Company and John McAslan and Partners (London).